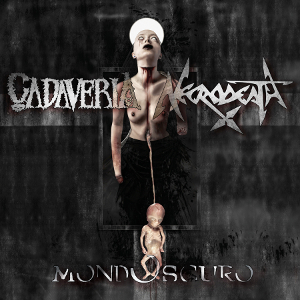 CADAVERIA is an Italian Female fronted Horror Metal band formed in 2001 by Cadaveria (vocals) and Marçelo Santos - aka Flegias - (drums), with the intent to create a virtual space where to freely express themselves as musicians and extreme artists. The band released its debut album “The Shadows' Madame” in 2002 (the UK release in 2004 and remastered edition in 2013), and another four albums. They also released the double DVD “Karma” in 2013. On September 2nd in 2016, they have released the special six track EP “Mondoscuro” along with legendary thrashers NECRODEATH through an Italian label Black Tears, in commemoration of the band 15th anniversary. CADAVERIA started drawing international attention, after the releasing of their second album “Far Away From Conformity” (2004). 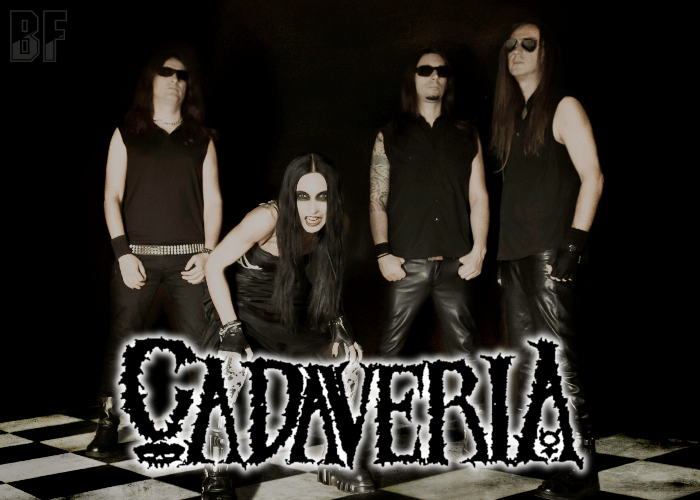 CADAVERIA delivers the mixture of Black, Death and Gothic Metal with the lyrics, scheming, hermetic and introspective, mirror the dark soul and the vexed personality of the singer Cadaveria. The band has toured in the UK, Spain, Italy, Germany, France, Switzerland, Romania, Russia and Mexico. Today September 17th, CADAVERIA will perform at Voices Of The Succubi Festival in Mosta, Malta.